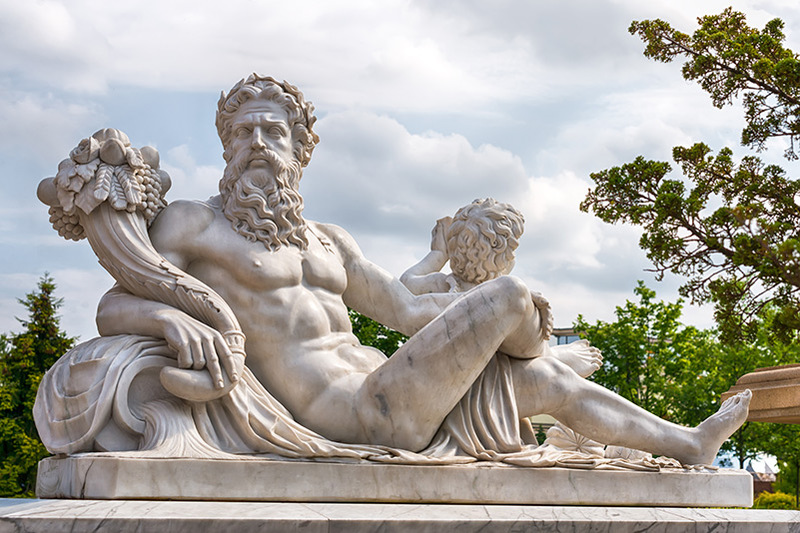 Legend has it that King of the Gods – Zeus was born on the island of Crete and raised by the goat Amalthea. While many children are happy with fish fingers and chips, Zeus dined on Cretan cheeses, bread, sweets, pastries and thick honey-drizzled yoghurt. Crete’s naturally beautiful landscape is the ideal place to raise the God of thunder and the future ruler of the pantheon of gods. This three-bedroom villa will make you feel like Zeus himself. The newly built villa was furnished to give the renter a ‘home away from home feel. The property comes with a private pool, sun loungers and it’s in close proximity to the nearest beach. Plus, it’s located in the perfect place for a little exploring. There are many places throughout Greece to choose from if you want to explore Ancient Greek mythology. But Zakynthos is the famed spot of Artemis, the Goddess of the hunt to wander amongst the forests and Apollo, God of music, truth and prophecy to play his lira under the trees to chant the beauty of the island. If you would like to see the beauty of Zakynthos yourself, then this property is the place to stay. It’s located in a quiet area, with a private swimming pool and it’s just what you need for a spot of sightseeing. If you want to visit a naturally beautiful island, then the birthplace of Aphrodite, the goddess of beauty is the place to go. It’s said she was born from the sea foam surrounding Cyprus and the island’s natural elegance reflect the Goddess who was born there. 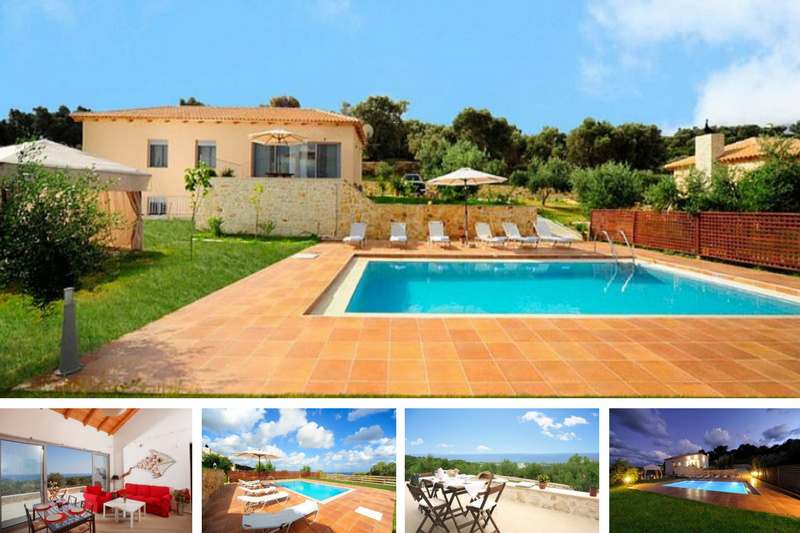 This villa is a wonderful destination for those looking for a little luxury and class. It’s perfect for families and offers panoramic sea views, with a simple and stylish design. "What a beautiful villa! It did feel home away from home (apart from the fact we don't have a pool at home). Comms with Demetrios before we arrived and then with Joulietta and David when we were there were great. We had a minor issue with the BBQ which was fixed within 24 hours." Not all the stories of Greek mythology have such a peaceful plot. Queen Rhodope and King Hem of Thrace were turned to mountains in Bulgaria for naming themselves the new Hera and Zeus. Bulgaria is also the birthplace of Orpheus, the singer of the Gods. 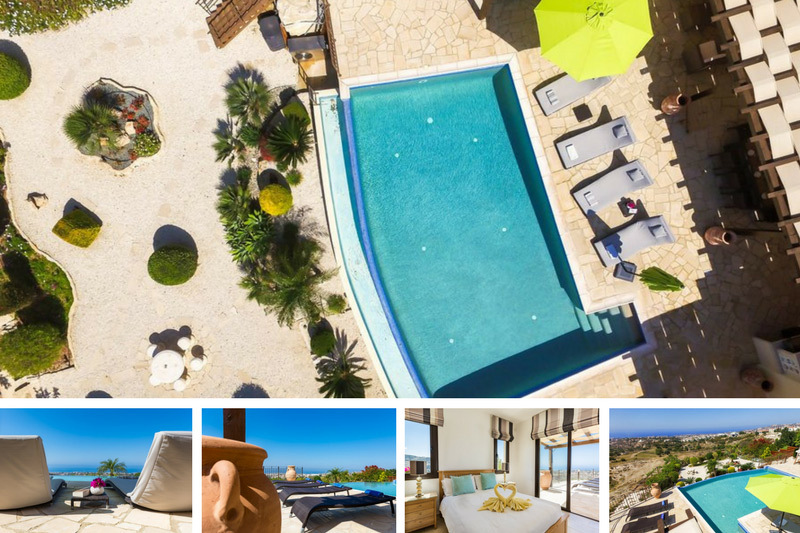 This luxurious three-bedroom villa comes with its own private pool and garden. It offers breathtaking views of the sea and a large brick BBQ. Plus, the property is furnished to high standards. "Thank you so much. We had a wonderful stay at Floral Hills. The villa was perfect for 5 of us. The area was gorgeous. Old Nessebar was just beautiful and the view from the villa was breathtaking." Turkey has appeared several times in Greek mythology. It’s said to be the place Paris gave the apple to Helena before she left her husband, Menelaus and ran away with him. It’s also the place King Midas ruled, the man who could turn things to gold with a single touch. This amazing four-bedroom villa is the perfect place to stay and explore all Turkey has to offer. It comes with its own private pool and it’s within walking distance to the beach and local amenities. "Another great holiday at this amazing villa. The villa is lovely and perfectly located. Just on the edge of town so far enough away (100 yards) not to be disturbed but ideal for easy and quick access for Supermarket, restaurant and bars."